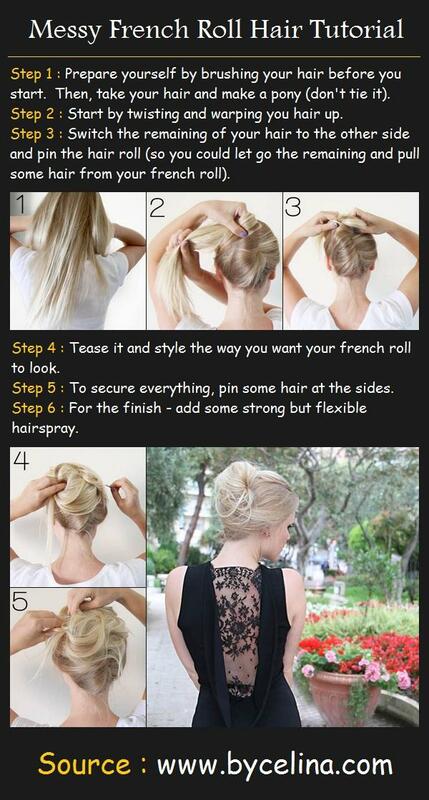 – Pull your hair into a high ponytail. – Split your ponytail into 2 sections, braid, and secure with a very thin hair tie. – Make sure both braids are secured with small hair ties before moving on to the next step! 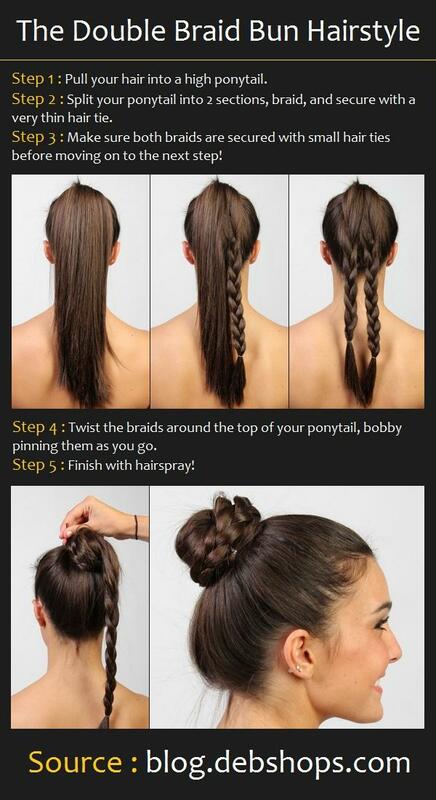 – Twist the braids around the top of your ponytail, bobby pinning them as you go.